With a Referendum on Britain’s membership of the EU now firmly on the cards it is time for an open, accessible and accurate book about the EU that is free from jargon and prejudice. This is that book. The aim of this book is to inform the reader about the EU and the issues surrounding it. 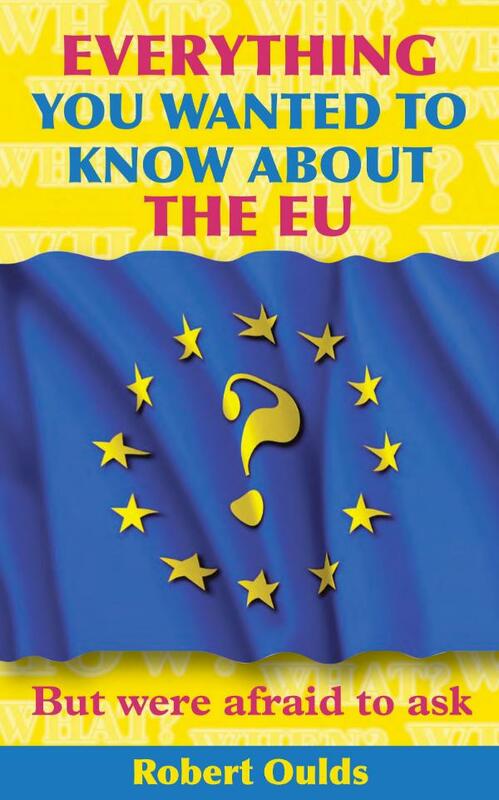 The book will achieve this without seeking to prejudice people into thinking one way or the other but will remain accessible, interesting and in many parts offer the reader an enjoyable grounding in all they need and want to know about the European Union. It will use the author’s special knowledge of being at the heart of the EU debate for over a decade and convey this to all those that purchase this book. It will give the reader insights insight into how things work in the EU, the personalities involved, how the EU interacts with national governments and the wider world and of course the reader themselves. • Is ideal for serialisation, the British press often report on books about the European Union. It is a hot debate that will not go away. This book will explain to the reader what they need to know and take advantage of a proven interest in an increasingly important topic. The author, Robert Oulds, is the Director of the Bruges Group, a very well-known think tank specialising in the EU. This has given him a detailed knowledge of EU affairs and has brought him into contact with the main players in the EU and British government. He has used these contacts and access to documents not usually seen by the public to produce this book. Robert is an experienced TV, radio and press performer. The World Bank DataBank, 2013, http://databank.worldbank.org/data/views/reports/tableview. 3. The Commission, or the High Representative of the Union for Foreign Affairs and Security Policy where the agreement envisaged relates exclusively or principally to the common foreign and security policy, shall submit recommendations to the Council, which shall adopt a decision authorising the opening of negotiations and, depending on the subject of the agreement envisaged, nominating the Union negotiator or the head of the Union’s negotiating team. Article 238 (3) (b) By way of derogation from point (a), where the Council does not act on a proposal from the Commission or from the High Representative of the Union for Foreign Affairs and Security Policy, the qualified majority shall be defined as at least 72 % of the members of the Council representing the participating Member States, comprising at least 65 % of the population of these States.